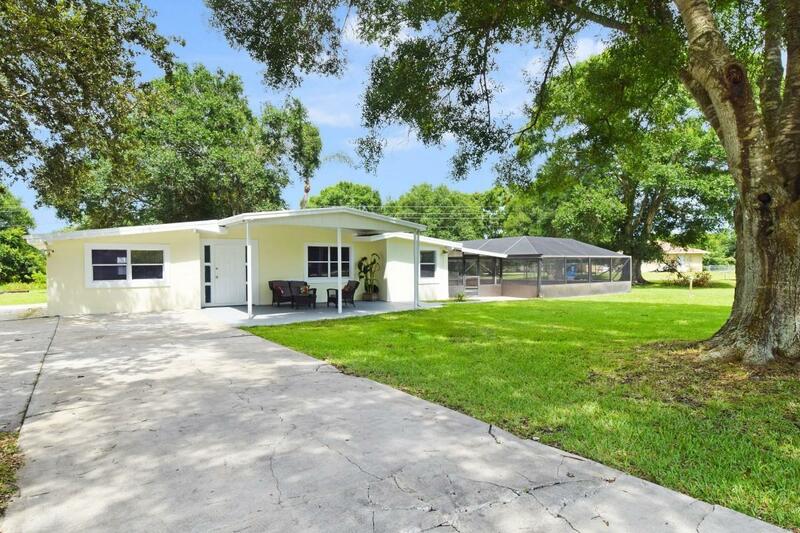 Large 3 Bedroom Country Pool Home with Barn/Storage Sheds close to town. Split System Central Heat and Air Conditioning with separate zones. New Upgraded 200 AMP Electric Service. Tiles floors and updated Granite Kitchen with shaker style cabinets and Bathroom with new stainless Steel appliances that include: New Convection Oven, new dishwasher, new microwave. Screening is a dome pool enclosure with fenced yard. Plenty of place to store your stuff in the shed/barn in the back. Laundry Room with washer and dryer. House and shed has a new style metal roof. CBS concrete construction and concrete slab.